I’m a skating enthusiast from way back. I started skating when I was really old... 17. It took me a whole year, skating every week, to get a job at the rink. 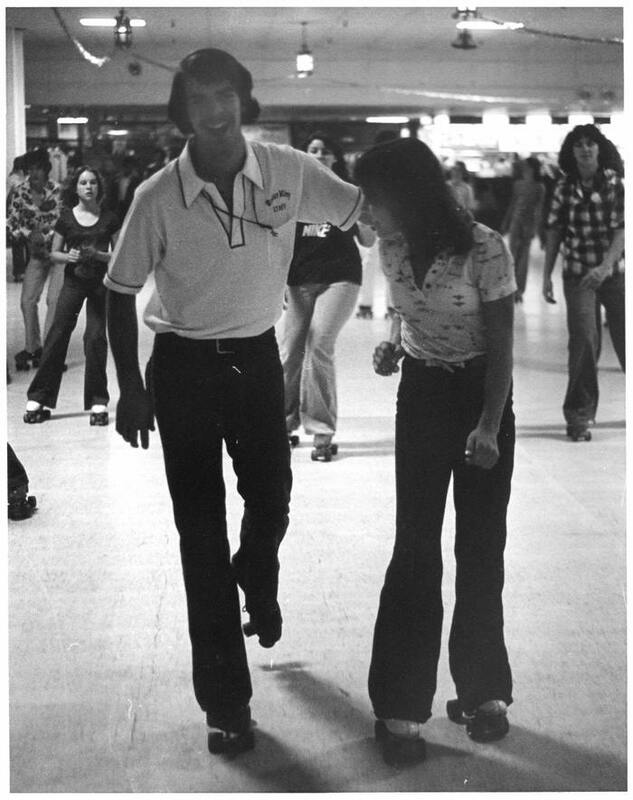 Then at 18, I went to work at a skating ring and I joined the speed team. 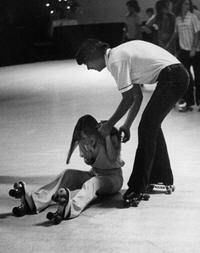 Since then I’ve skated six years of competition. It was tons of fun and a great workout! I only stopped because our local rink closed. I’ve worked in several skating rinks over the years, mostly as program director however I started as a ‘floor guard’ as most do. 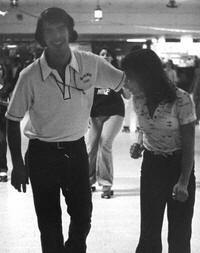 Yes, I even worked at Roller King in Modesto. I know you want proof, so here’s a couple old photos. So at this point, you’re probably wondering, “Why is this website here?” It’s simple, and personal. 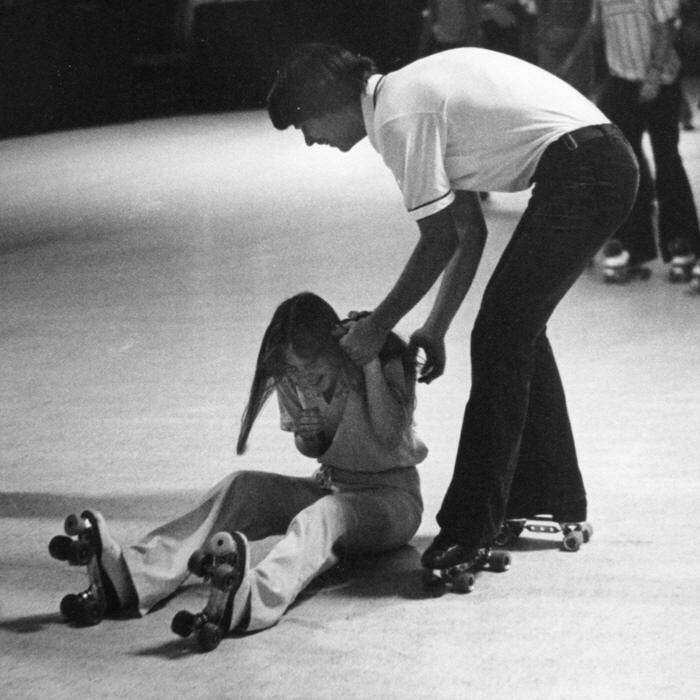 I want to go skating at a local, clean, fun skating rink where I can make friends with other roller skaters. It’s so much more fun to skate indoors with other skaters, than to skate on the street dodging cars, pedestrians, gravel, pot holes and dogs! Quite simply, nothing can replace a skating rink. But with so many skating rinks closing over the past few years, investors have got to be skeptical about investing in one. So, it is up to us to show them that we are interested in skating at a local skating rink, and we are willing to put our money where our mouth is. By completing this survey, you are giving me research facts to put in front our investors. When we can demonstrate that there is enough interest for them to finance this project, then we are going to see a skating rink here in our town again. But we have to have community support, before they are going to invest in a skating rink here. Please take few minutes to complete our survey, and show our investors that you do want a local skating rink!